this Shrimp Ceviche is so easy to make and tastes absolutely delicious! plus, it looks amazing inside a martini glass FYI! but the mango adds a nice surprise element that really WOW's! I like to enjoy my ceviche inside corn tortillas or with cucumber! crackers, cucumber, tortilla chips, taco shells, etc. I typically just pan sear my shrimp quickly on medium heat with a dash of olive oil. Let them marinate, it will mellow the onion flavor. 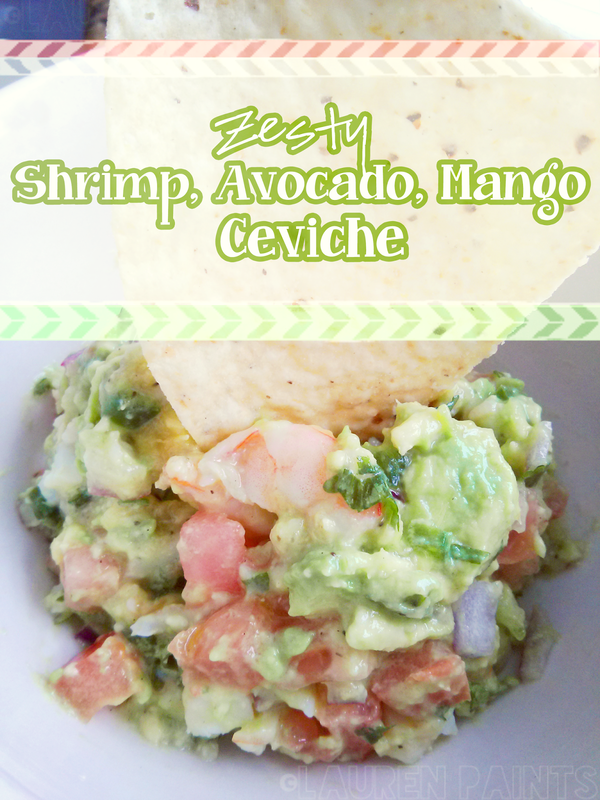 In a large bowl mix together the shrimp, jalapeno, tomato, mango, and avocado. Combine the two bowls, mixing slowly. Then add the cilantro + toss. Add additional garlic, salt, and pepper if needed.